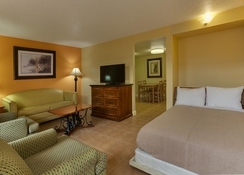 Family friendly accommodation that boasts a central location, modern suites and easy access to the main attractions in Orlando, the Celebration Suites at Old Town even allows you to bring your pets on holiday too. The spacious suites are perfect for families and couples and features large kitchens with modern amenities as well as living and dining areas. 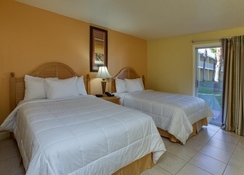 Staying at the Celebration Suits at Old Town means you are close to the main attractions such as Hollywood Studios, SeaWorld, Walt Disney World and Universal Studios. 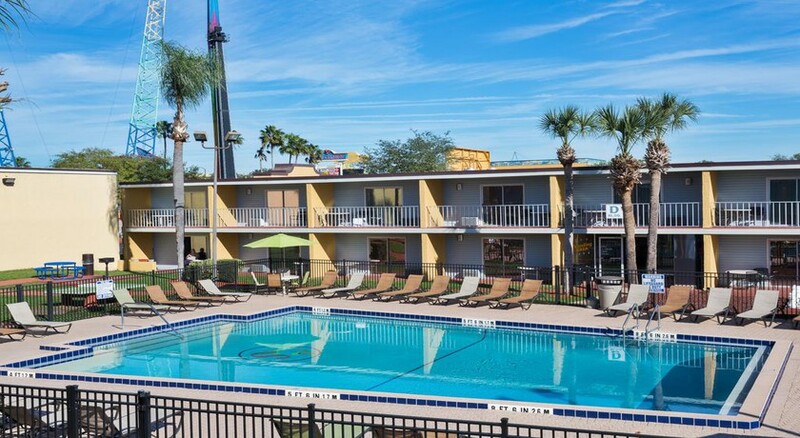 There is a free shuttle service from the accommodation to some of the biggest tourist locations and with 3 restaurants, 3 pools, a fitness centre and plenty so see and do you can enjoy an active holiday in Orlando, Florida. 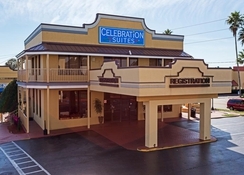 Celebration Suites at Old Town benefits from being in an ideal location to explore the rest of Orlando and it is right next to the Old Town entertainment complex. With a free shuttle service to Walt Disney World Resort Universal Studios and SeaWorld you can enjoy the main tourist sights without worrying about travelling. 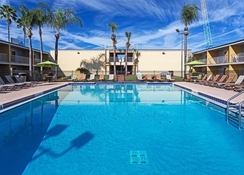 The accommodation is also close to the Orlando International Airport (14.5 miles), Disney’s Animal Kingdom (4.7 miles) as well as Falcon’s Fire Golf Course (1 mile). There are 8 different accommodation types you can stay in which can sleep up to 10 people. 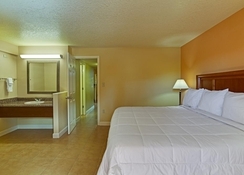 Superior Suites, Superior Suites with pool view and Superior King Suite are all 650 sq. ft while they also offer pet friendly and accessible options. The Two-Bedroom suite is great for families as it has extra space while guests can also stay in a large Two-Bedroom Suite that is 1050 sq. 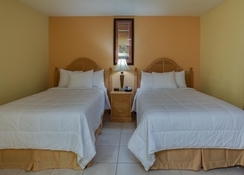 ft and features 2 bedrooms, 2 king beds, 2 bathrooms and can accommodate up to 10 people. You will find a range of food and drink options at the Celebration Suites at Old Town as well in the surrounding area. The accommodation hosts 3 restaurants including a 24-hour Denny’s. Being right next to Old Town that offers 8 restaurants you will not be far away from grabbing a bite to eat and drink during your stay. Staying at the Celebration Suites means you are right next to the Old Town theme park which has 18 rides, numerous restaurants and 75 shops. There is a free shuttle service that will take you to Walt Disney World Resort Universal Studios and SeaWorld and the accommodations also features 3 pools, a fitness centre, sports facilities for volleyball as well as a free shuttle service to Lake Buena Vista Factory Outlet Mall. Pet-Friendly Rooms Available ($20 + tax Nightly Fee – Dogs & Cats Only). They must weigh 35lbs or less (each pet cannot exceed this weight limit). Stayed 14 nights in May . Big site with 3 pools and lots of different apartment blocks.Some are a little run down but refurb is in progress.My apt had 2 bedrooms with tv's and a kitchen lounge and bathroom. Pull Out bed in lounge too so lots of options for big families.Big fridge for cold drinks storage and useable kitchen with coffee maker and microwave. Pool areas have free towels and sunbed.Wi fi is fast all around complex.Free shuttles to Disney and Universal if you don't drive too. Old town and many restaurants nearby.